Do you love living in Borough Park? We know that we love helping out in homes in that area. We also know that it’s easy to get anxious when something goes wrong with your home. After all, unless you have expertise in plumbing systems or HVAC technology, it’s hard to know what has gone wrong and what might be involved in fixing it. The uncertainty alone is enough to cause quite a bit of stress. 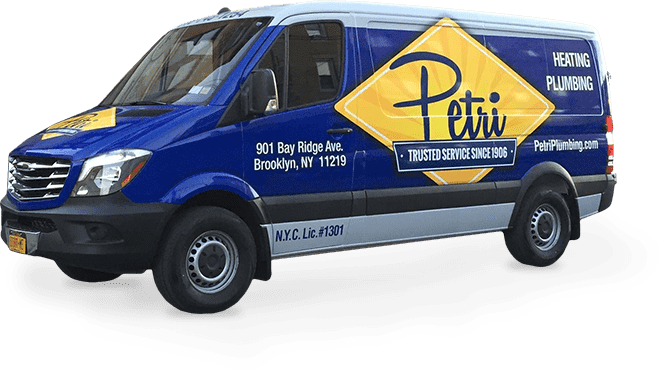 If you need help with plumbing repairs in Borough Park, Brooklyn or heating and A/C in the same area, call us at Petri. We want to help you live your best life, and we recognize that you can’t do that when you are stressed out about your house. Contact us at the first sign of a problem and we will help make sure your house continues to run just the way you need it to. Brooklyn gets so hot and humid during the summer and freezing cold in the winter! We know that you need to stay comfortable in both seasons, which is why we have HVAC techs standing by, ready to help you out. There’s no repair too big or too small for us and no questions we aren’t willing to answer, so call us as soon as you notice a problem. We’ll do our best to get things fixed before you get too uncomfortable at home. When you need to replace your air conditioner or your heater, call us for that, too. We’ll help you figure out exactly what you need for your Borough Park home. We’ll take a look at your square footage, how often you use your comfort system, how much you have to spend on a new system, and whether you want energy-saving appliances or not. Then we’ll recommend units from brands we have come to rely on over the years. Choose your unit and we’ll get it ordered and installed as soon as we can. We’ll also perform regular maintenance on your heater and air conditioner, whether the system is new or old. We’ll make sure that every place where dust can collect gets cleaned out, change your filters, and test each component against the manufacturer’s specifications. If anything isn’t working, we’ll let you know so it can be fixed before the whole thing breaks down. Regular maintenance can help save you money on utilities and makes replacements fewer and farther between. There’s no plumbing job too big or too small for our professional plumbers. We are happy to clean out your drains, clean out your sewers, replace your water heater, make your garbage disposal work again, and more. Some homeowners hesitate to call when they feel like the problem is too small, but the truth is that we are more than willing to help you out with anything. We know that you need your home to work well and we’ll do what it takes to get it functioning well again fast. We also know that plumbing problems don’t just show up when it’s convenient. In fact, plumbing emergencies have an uncanny way of appearing at night, over the weekend, or on holidays, when many plumbers aren’t open or available. However, we have someone who can help you 24/7. Give us a call and we’ll be on our way to you soon. We’ll stop the flow of water or sewage into your home, fix the plumbing problem, and connect you with people who can help with the cleanup process. We never want you to feel like you’ve been left high and dry when it comes to your plumbing! Call us today to get on our schedule soon! We would love to have a chance to get to know you and show you why so many people in Borough Park, Brooklyn rely on us for all of their plumbing, heating, and air conditioning needs. You really have a plumbing emergency on hand when a clogged drain cripples the system. A productive leaking pipe will damage furniture and anything else at floor level. A complicated plumbing system with curving pipes is a haven for lodging particles such as hair and other large buildup particles. We quickly fix emergency problems by clearing out the drains and removing pipes if necessary. 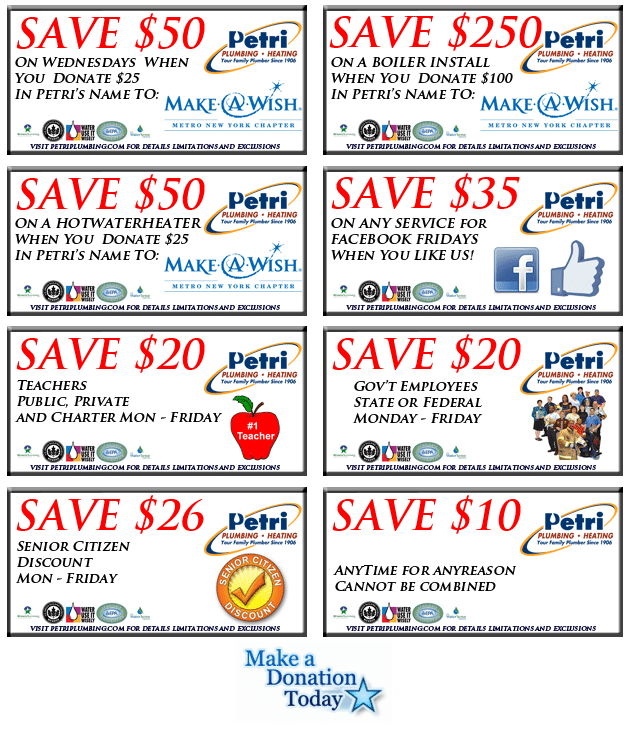 For the best Borough Park plumber, call Petri Plumbing at (718) 748-1254.